Round 1 (#18) – The March offer sheet to Kyle Fuller of the Bears was a clear indication of just how much Gutekunst wanted to upgrade at corner, so the pick of Jaire Alexander was understandable. 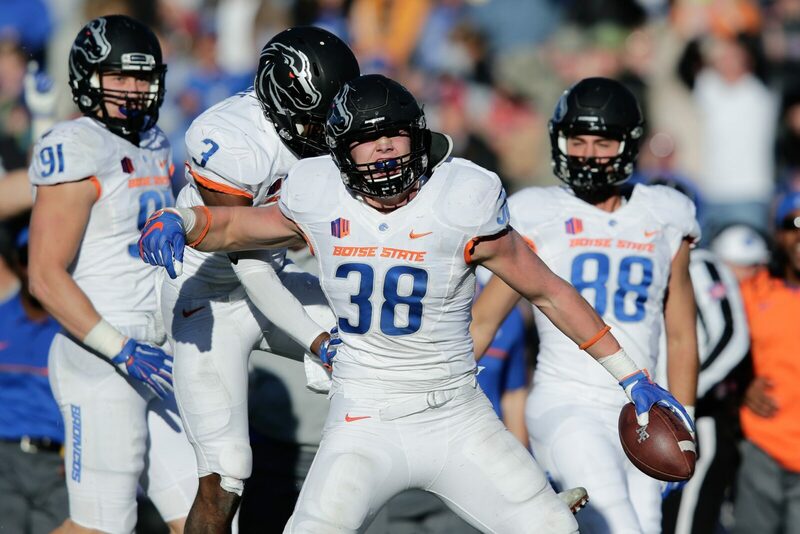 I would’ve taken Boise State’s Leighton Vander Esch, who I considered the best player available. He wouldn’t have filled quite as big of a need, but I’m always going to go BPA in round 1. Round 2 (#45) – I had absolutely no problem with Gutekunst taking another corner here, but I think he took the wrong one. Colorado’s Isaiah Oliver runs better than Josh Jackson, and while he wasn’t as productive in college, he has a chance to be a better pro. I’ll be anxious to follow their careers in the years to come. Round 3 (#88) – Gutekunst traded up to grab inside linebacker Oren Burks, who to be perfectly honest, wasn’t even on my radar at this point in the draft. I was tempted to select a wide receiver at No. 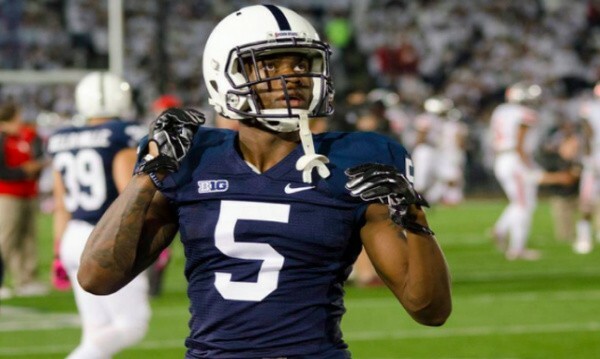 45 and was beyond thrilled to find Penn State’s criminally underrated DaeSean Hamilton still available late in round 3. Round 4 (#133) – After passing on wide receivers on days 1 and 2, I had no problem with Gutekunst taking J’Mon Moore late in round 4. That said, my choice would’ve been Oregon’s Tyrell Crosby, a huge offensive lineman capable of playing either right guard or right tackle. With potential holes at both positions, Gutekunst could’ve filled one of them by selecting a player some experts had going a round or two earlier. Round 5 (#138) – Gutekunst hadn’t selected an edge rusher through four rounds, and while I really like the choice of offensive lineman Cole Madison, I would’ve preferred taking a chance on Oklahoma edge rusher Ogbonnia Okoronkwo. His lack of size bothers me, but at this point in the draft, he was a gamble worth taking. Round 5 (#172) – I’m not necessarily against taking a punter in the fifth round – especially someone as talented as JK Scott – but I thought rookie Justin Vogel was one of last season’s few bright spots. That’s why my pick would’ve been Clemson wide receiver Deon Cain. His inconsistency kept me from considering him earlier, but his size (6-2, 205) and speed (4.43) makes him a potential steal this late in the draft. Round 5 (#174) – Gutekunst took a second wide receiver here (Marquez Valdes-Scantling), but I would’ve taken a second edge rusher. Auburn’s Jeff Holland is not nearly as talented as his former teammate Carl Lawson, who went on day 3 a year ago, but he has a chance to be a pretty good player in his own right. Round 6 (#207) – Here’s the first time I agreed with Gutekunst. I wasn’t looking for another wide receiver, but Equanimeous St. Brown was simply too talented to pass up. While there’s a reason 206 players were taken before him, a receiver who stands 6-foot-5 and runs 4.48 is impossible to pass up at this point in the draft. Round 7 (#232) – Gutekunst selected athletic defensive lineman James Looney, but I would’ve grabbed Alabama’s brutish Bo Scarbrough. While he had a lot of injuries in college, running backs this talented aren’t typically still available at the end of day 3. Sure he’s a bit of a risk, but why not roll the dice on potential? 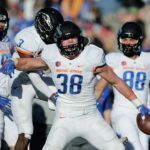 Round 7 (#239) – I would never draft a long snapper (Hunter Bradley) – even at this point in the draft. My pick would’ve been Toledo’s Ola Adeniyi, another undersized but highly productive edge rusher. Let’s be honest, if a general manager can’t find a capable long snapper on the street, he probably shouldn’t be a general manager. Round 7 (#248) – Gutekunst finally drafted an edge rusher (Kendall Donnerson). I would’ve taken Penn State inside linebacker Jason Cabinda. He may not have ideal measurables, but he’ll make a 53-man roster and find ways to contribute. I watched him for the past four seasons and he’s just that kind of player.